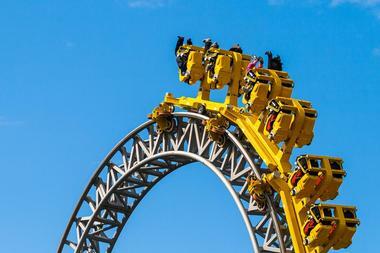 Pennsylvania might not be the first state to come to mind when you're thinking about visiting amusement parks, but it offers a surprising abundance of amusement and theme parks that provide fun for the whole family. Many of these parks date back to the early 1900s, but they still feature plenty of modern rides and attractions to keep you and your family entertained for the whole day. 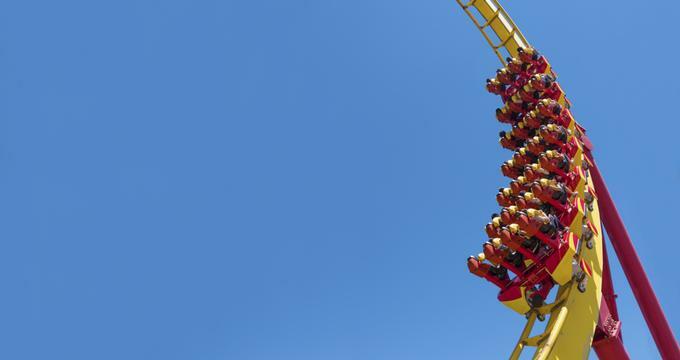 You'll find everything from roller coasters to water slides to kid-friendly rides, so if you're planning a trip to Pennsylvania, you should schedule in a visit to at least one of these exciting amusement parks. 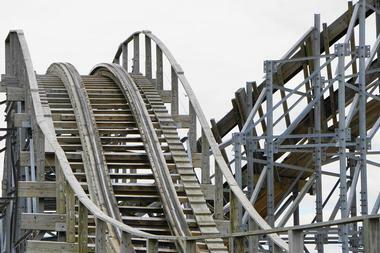 First opened in 1892, Conneaut Lake Park is the Pennsylvanian amusement park to visit if you want to feel like you've stepped back in time. 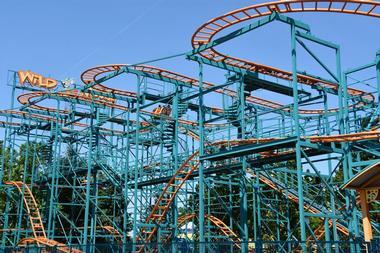 One of the biggest attractions in the park is an old wooden roller coaster that dates back to 1938, but other rides include a vintage carousel, a flying scooter ride, and a classic tilt-a-whirl. There is also a selection of rides aimed at young children, and other popular activities in the park include pony rides, mini-golf, strolling along the boardwalk that overlooks the lake, and splashing around in the on-site water park. Offering an excellent selection of family-friendly rides, DelGrosso's Amusement Park has been in operation for more than 100 years. In addition to rides like a kiddie carousel and a classic scrambler ride, the park offers plenty of midway-style games like a balloon bust and a ping-pong toss. The park also includes a waterpark with slides and a kid-friendly pool; more than 20 private cabanas are available for rent, each of which can accommodate up to six people. There is no admission fee to enter the park, and visitors can choose to purchase either an unlimited day pass or tickets for each ride individually. One of the most popular amusement parks in Pennsylvania, Dorney Park & Wildwater Kingdom boasts more than 100 rides and attractions for visitors to enjoy. The selection of rides ranges from thrilling classics like the Scrambler to kid-friendly options like a Snoopy-themed train, ensuring that there's something for every member of the family. 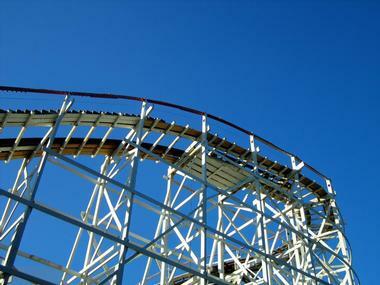 There are also eight roller coasters, including one of the longest steel roller coasters in the world. The price of admission also includes entry to the waterpark, which features a wave pool, a children's play area, and plenty of tube slides and body slides. Sitting on a 48-acre property outside of Lancaster, Dutch Wonderland is a family-friendly amusement park designed with young children in mind. 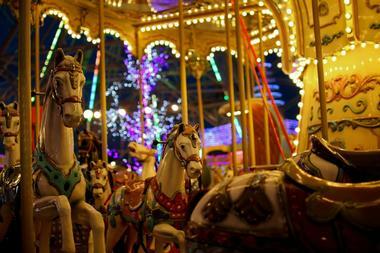 There are plenty of rides to choose from, including a merry-go-round, a flying trapeze ride, and a mini steel roller coaster that can be enjoyed by the whole family. Costumed characters can often be seen wandering through the grounds, and multiple themed shows are held all throughout the day. Other highlights of the park include a tropical-themed waterpark, a 5-acre island dotted with robotic dinosaurs, and private cabanas that can be rented by groups of up to six guests. With a wide range of both indoor and outdoor attractions, Fun Fore All is an exciting activity center that's open year round. 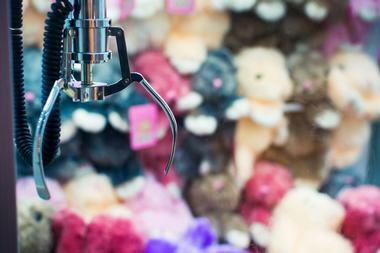 There are more than 70 arcade and carnival-style games for visitors to play; some of the games offer the chance to win prizes, and individual tickets must be purchased for each game. Outdoor rides include a kiddie coaster and a high-flying hot air balloon ride, and the park also offers an outdoor go-kart track and bumper boat ride. Packages are available for birthdays and groups of more than 15 people, and special discounts are offered on select attractions Monday through Friday. Built in 1906 to entertain the employees of the Hershey Chocolate Company, Hersheypark is conveniently located right next to Hershey's Chocolate World. The park offers more than 70 exciting rides and attractions ranging from a kid-friendly carousel to thrilling roller coasters, and it also has a waterpark with multiple pools and slides, a Southwestern-themed area with a food court, and an 11-acre zoo that's home to over 200 animals. Food trucks can be found on the park's boardwalk every Friday during the summer, and free live music shows are often held on summer weekends. The oldest amusement park in Pennsylvania, Idlewild & Soak Zone is consistently rated as one of the best children's amusement parks in the world. The park is divided into several exciting zones, including an interactive storybook forest, a jungle-themed play area with slides and a ball pit, and a Western-themed historical village with a blacksmith, a saloon, and a general store. Most of the rides can be found in the areas known as Olde Idlewild and Raccoon Lagoon; highlights include a Ferris wheel, a classic merry-go-round, and a mini roller coaster that runs over a charming forested hillside. Originally a small trolley park that was opened in 1898, Kennywood is now a large amusement park with almost 50 exciting rides. 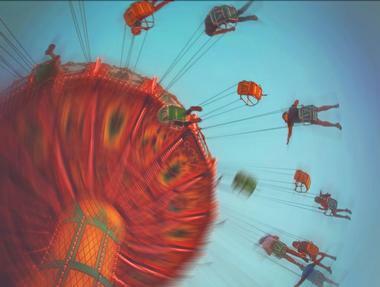 The park is a designated National Historic Landmark; many of the rides and attractions date back to the early 1900s, but there are also plenty of newer attractions like a freefall ride known as the Skycoaster and an exciting sky rocket with an optional virtual reality component. An excellent selection of children's rides can be found in Kiddieland, and the park also features plenty of water rides that are perfect for cooling off on a hot summer's day. Proudly family owned and operated since 1926, Knoebels Amusement Park holds the honor of being the largest free-admission amusement park in the United States. Two of the most exciting attractions in the park are the vintage wooden roller coasters known as the Phoenix and the Twister, but there are more than 60 other rides for visitors to enjoy as well. If you're looking for a gentler activity, you can jump in the pool, play a round of golf, or visit one of the park's gift shops. Food options include a restaurant, a bar, and several concession stands, and picnic facilities are available on-site. Home to the oldest surviving roller coaster in the world, Lakemont Park is an historic amusement park located on a 51-acre property in Altoona. 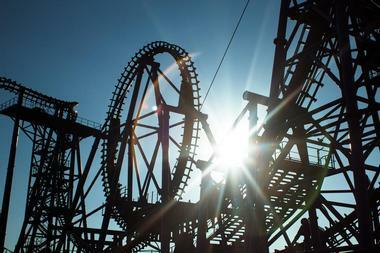 There are more than 30 rides in the park, including several roller coasters and water slides. Most of the rides are included in the price of admission, but guests must pay an additional fee if they want to enjoy the paddleboats, the go-karts, or the mini-golf course. The park is open every summer between mid-May and Labor Day, and it's also open during the Christmas season for a special holiday lights show. 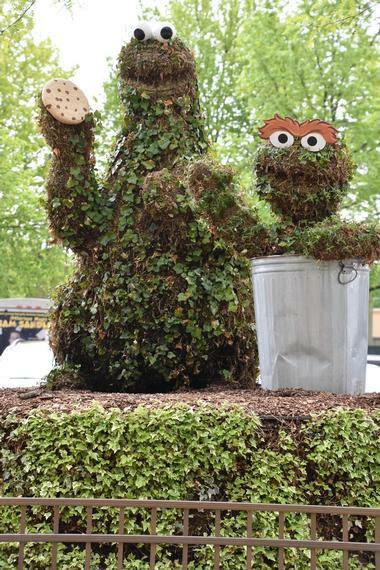 Featuring a wide range of rides and attractions based on the popular children’s TV program, Sesame Place can be found on the outskirts of Philadelphia. Most of the themed rides are suitable for all ages, and there is also a waterpark with a lazy river, a splash park, and plenty of slides. Other highlights include a great selection of gift shops, a buffet-style meal that allows visitors to mingle with Sesame Street characters, and live musical shows. The park is only open between the end of April and the beginning of January, and it hosts special parades and shows for Halloween and Christmas. Sitting at the base of Presque Isle, Waldameer Park is a family-owned amusement park with over 100 different attractions for visitors to enjoy. Thrill rides include multiple roller coasters and a 140-foot drop tower, but there is also an excellent selection of kiddie rides and water slides. There are plenty of other things to keep you entertained when you've had your fill of the rides; the most popular activities include grabbing a bite to eat from one of the concession stands, playing the park's many midway-style games, or catching one of the three daily shows held at the on-site theater.